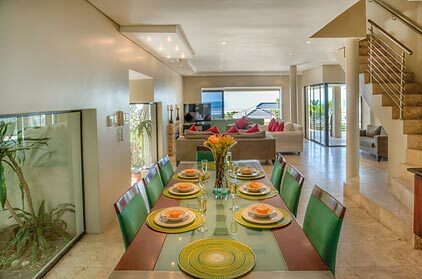 With easy access to all the cities top attractions, this deluxe three-bedroomed villa is ideal for a family getaway. 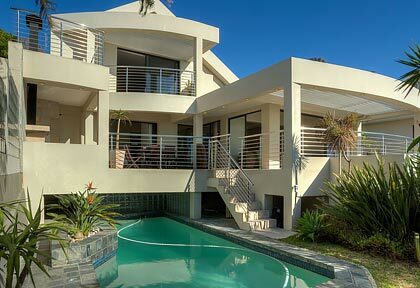 Welcoming living spaces and breath-taking views will embrace you, while the sun-dappled pool will entice you in. 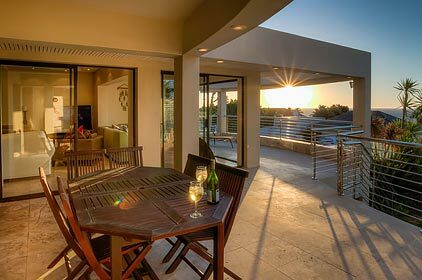 Take a short walk to the nearby beach, entertain friends with a barbeque on the upper terrace or simply relax at the pool. Modern, contemporary furniture in creamy, natural tones emphasize a beach-house chic style, contrasting beautifully with indigo blue dining room chairs. 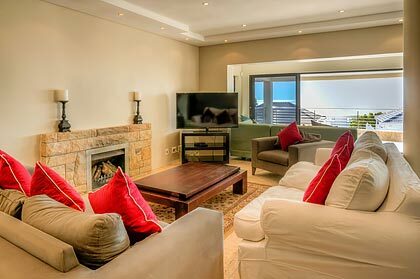 The lounge is plush and comfortable with a wood-burning fireplace and vast retractable glass sliding doors that invite the view in, creating free-flowing living spaces and awe-inspiring vistas. 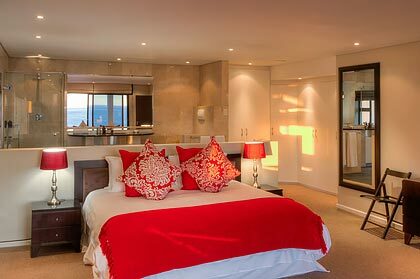 The master bedroom, with open plan en suite, is spacious and beautifully furnished in earth neutral tones and is air-conditioned for the warmer summer months. The bathroom features a spa bath and large shower. 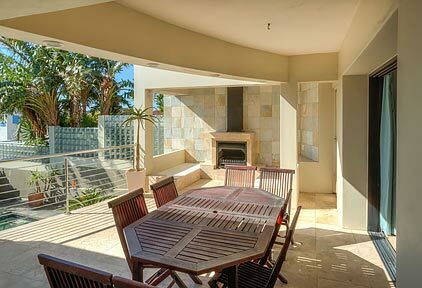 This room also enjoys direct access to a private balcony overlooking the swimming pool and coastline beyond. 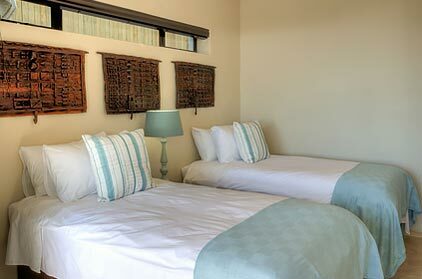 The second and third bedrooms, each with twin beds, share a bathroom with large corner bath and spacious shower. The house flows out onto a tiled balcony overlooking a sparkling swimming pool. A lovely 8-seater table and an outdoor fireplace are ideal for outdoor dining on warm summer nights. 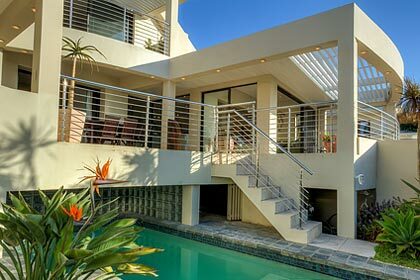 The house has off-street parking for guests, offering a secure double garage and off street bays for 2 cars.